The gorgeous setting of inexperienced and white stones on an inexperienced background combines with the presence of 2 large pearls at the bangle’s head leave onlookers stunned for a minute. The awesome design of this designer bangle is sure to make heads turn your way whenever you wear it. 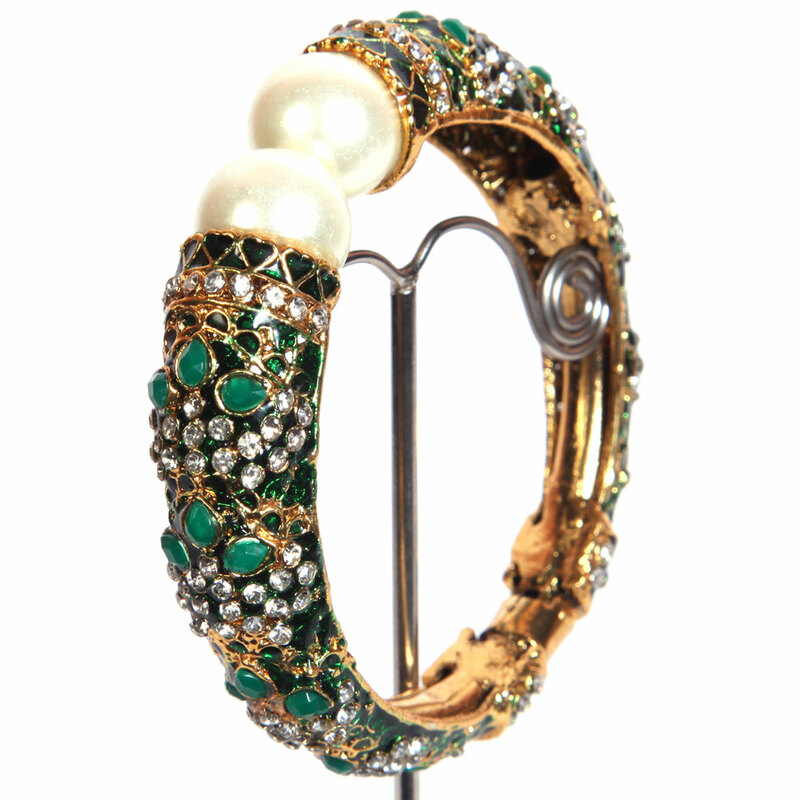 The stunning setting of green and Read More..white stones on a green background combines with the presence of two massive pearls at the bangle’s head leave onlookers astounded for a while. Show Less..